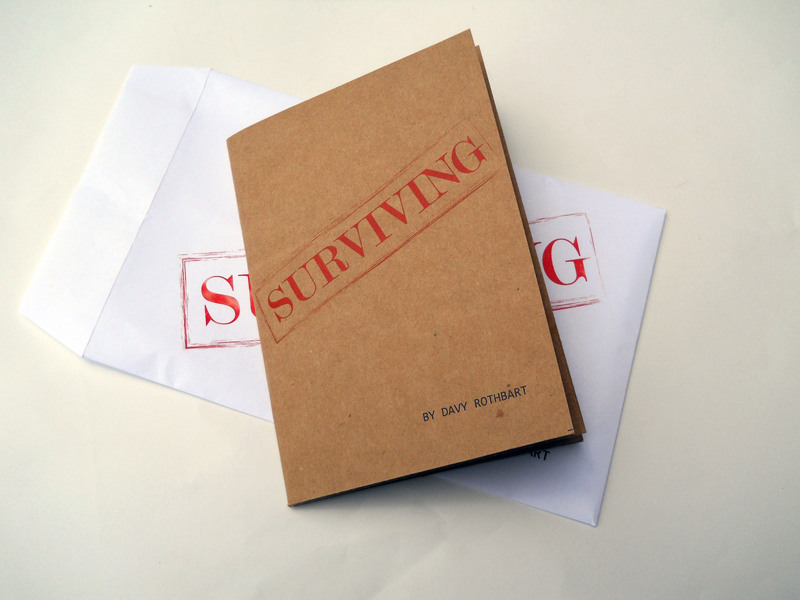 Davy Rothbart’s Surviving is a short essay in seven parts. In it, readers will find helpful tips such as “How to Survive Baldness” and “How to Survive Waking Up in Copenhagen with No Idea Where You Are.” Each section is also accompanied by an artifact – a photo, a drawing, or something a bit more surprising. Davy Rothbart is the founder of Found Magazine, the author of the short story collection The Lone Surfer of Montana, Kansas and author of the essay collection My Heart is an Idiot (Picador, 2012). He is also a contributor to public radio’s This American Life and co-directed the documentary Medora (2013). To purchase visit our store at the Square Market.